As per usual with blogs - things get extraordinarily busy, one puts ones head down to get things done, time passes, writing momentum wanes, and your blog falls on its face. In my case, this was a function of the many important things we were working on but the lack of things urgent to say. I went on holiday in Ireland for a few weeks, and when I returned, my blog discipline had all leaked out and was replaced by "doing". My apologies for the lag. If anyone has anything important they wish me to write about, please let me know. What would you like to hear about the soft and squishy innards of LassoSoft? Let me know, via personal email to sean@lassosoft.com. In the meanwhile, let me give you a recap of where LassoSoft sits today. We have done everything in the last six months that we promised to do at the beginning - with the exception that we aren't done yet, and we have more irons in the fire than ever before. 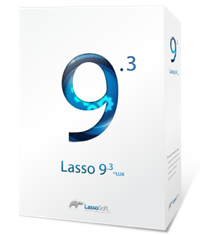 We released Lasso 8.6. Hundreds of people have downloaded it in these first few months, and we have had very few people encounter trouble. The key issue - stability - seems to have been crushed. We are joyous, both to solve many people's issues, as well as to move on with our lives and onwards with Lasso 9. We have released (last week) the final Beta of 9.1. The big change for us is an important milestone: the ability to easily install and manage different Lasso 9 instances from a single interface. This is a big step for our future plans to centralize the management of multiple Lasso servers from one location - especially as we start towards a path of true high-availability cloud-orientated architecture. In the meanwhile, Lasso 9 has been picking up momentum as more and more sites and systems go live with it in the real production world. Hopefully, this new version will be live and tested and available within the next few weeks. We have been aggressively working away at documentation for 9, and down to the last mile. In fact, it is very rare for us to hear from someone who hasn't got the information they need, and Jono personally tries to return relevant documentation within hours (sometimes minutes) of any requests. I have suggested we aim for a "24-hour guarantee" that any tag which isn't effectively described and is critical to an implementation path will be described within 24 hours - but I'm not sure how it would hold any meaningful water. Good marketing though, perhaps? We have been aggressively keeping on tech support calls. In the past few weeks alone, we have fielded dozens of calls from people on both 8 and 9 (and even 3.6!). Though usually the issue isn't Lasso per se, but datasource or Apache issues, we are proud that we have a strong backbone of support in place now. Rachel is doing an excellent job of monitoring all of the airwaves and trying to catch any missing pieces. One recent public complaint of our lack of response turned out to be external spam control issues - we had responded half a dozen times! (I even wrote the individual personally and didn't receive a response). Hopefully LassoSoft's reputation in support is turning around, and we are have sent the first of quarterly customer feedback surveys to check how we are doing in this regard. "All signs point to yes." We bit off a significant administration burden with the new licensing model. Although we have had various reactions to this model where it hasn't worked as expected, we have also seen more stable revenue come into LassoSoft than in the last several years. Lasso isn't yet paying for itself, so the team is fundamentally relying on Treefrog to hold up the tent and probably will for some years in the future. There is also pain in the fact that the short-term bursts of cash-infusion are now the long-term droplets of monthly annuity - which means less cash in the short term. But we are building the cathedral to last a lifetime, not just laying bricks, so the pain is bearable. We have started the marketing engine and are contacting all previous owners of LassoSoft products to make them aware of our positive momentum. (Many are somewhat confused by the phone calls after such a long hiatus). We are also planning to attend a number of conferences (e.g. Filemaker, for example) and starting to rekindle and develop new relationships with magazines, etc. This heat will be turned up as we find successful avenues - for now, we are being very cautious and just testing the waters. Check out the new LassoSoft Facebook page, and follow Lasso on Twitter. (We are also in the process of reviewing all the download sites that have Lasso links - we found many were outdated and we will be bringing them up to date in particular as we release version 9.1 - if you find one, please let us know). Another avenue for growth we are working on is that we are in dialogue with various Canadian Universities and Colleges to begin teaching Lasso in post-secondary facilities, as well as engaging in various innovation programs with them. More to come on that in the future. We are trying to better understand our community as well as we can through various communication methods - surveys, questionaries, cold-calling, list-monitoring, etc. Based on this feedback, we are moving forward with strategic steps. (For example, it's looking like our community doesn't want a conference this year, but rather one early next year). 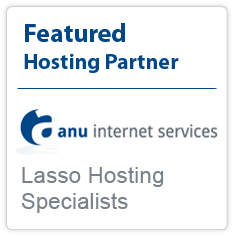 We would like to start showcasing Lasso 9 products and websites on a regular basis - talk to our team if you have a Lasso project ready to brag about. Watch our news section later this week as we write up on a large e-commerce site just released that is getting huge benefits from running on Lasso 9. You have recently seen mention of the HitMap product, which now boasts clients from around the world, thanks in part to tweets from smashingmagazine.com. A few CLD's have remarked that they have received work off their listing. Huzzah! This is a good thing. The CLD group has been very engaged and wonderful to work with - allow me to thank you all yet again for being the backbone of the future. As we are finishing up with Lasso 9.1, we will be moving on to the next CLD-voted development direction. Looking at it now, two things are competing for #1 place with 21 votes each: Backwards Compatibility and Updates/Fixes. I have to admit, I didn't think there would be a tie for the next thing - I guess whichever reaches 22 first will win our core development energy. We will be communicating about cleaning up the goals more concretely in the next few weeks. That's it, for now. Things might seem like they are moving a little slower than they did at the beginning, but only because we are done with the initial sprint and are now in the rhythm of long-term endurance racing. We are still catching up!